International HR Adviser magazine was launched in 2000 and is the only magazine solely aimed at Global HR professionals whose role is to manage their company or organisation’s global mobility programmes and expatriate assignments. International HR Adviser is currently sent to almost 7000 readers in 83 countries, and provides quality editorial which is educational and thought provoking and is provided by specialists in their field. Regular features within International HR Adviser include: International HR Surveys, Compensation & Benefits, Global Taxation, Technology, Trends in International Assignments, Healthcare, Insurance, Surveys, Country Profiles, Global Immigration, Moving & Relocation, Spousal Support, Education, Global Pension Schemes, Serviced Apartments, Benchmarking, Kidnap & Emergency Evacuations, Cross-Cultural Issues and Case Studies and other articles relevant to International HR Professionals and Procurement specialists. 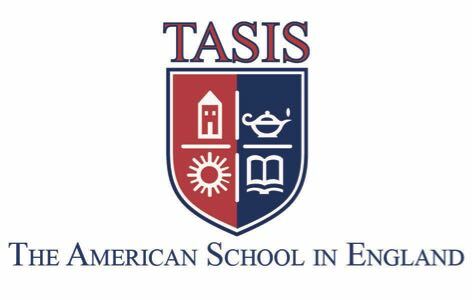 To see more information on our circulation and readers click here. If you are interested in promoting your products and services to our readership of global HR/mobility professionals please click here to download our current media guide. We are currently offering a free annual subscription to International HR Adviser, so if you are involved in the relocation of employees on a global basis please click here and complete your details. The next Global HR Conference for Global HR & Mobility professionals will take place on 14th October 2019 in London. There will be 5 seminars all presented by the experts in their field including. This event is open to Global HR professionals only, and is free to attend. For further details or to register please click here. American in Britain magazine is published quarterly and is a glossy A4 magazine for Americans living in the UK. We are currently offering a free subscription to the magazine. Our regular features include: Eating Out, Theatre Reviews, Travel, UK Sports, Taxing Issues, American Women’s Clubs News, Arts & Antiques, Reader's Lives, Tax Matters, Wealth Management, Embassy Corner, Legal Matters, Tips, Advice and Events. If you would like to register for a free subscription for your American employees in the UK, please click here. The 2019 Guide has been published and is available to order. 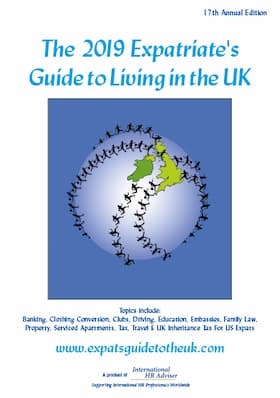 The Guide is updated and produced annually for expatriates who are relocating to the UK. The topics covered include Banking in the UK, Driving, Education & Schooling, Embassies, Expatriate Clubs, Family Law Issues, Property, Serviced Apartments/Corporate Housing, Tax & Travel. To order complimentary copies of the 2019 Guide for your expatriate employees please email damian@expatsguidetotheuk.com. To share or read the Guide online visit the website www.expatsguidetotheuk.com. The 2019 Expatriate's Guide to Living in the UK is now available!